Citation: Akefe IO (2017) Protective Effects Antioxidants in Chlorpyrifos Toxicity. Res Rep Toxi Vol.1 No.1:4. Anthropogenic activities in recent times has instigated innumerable detrimental effects on our environment which is increasingly threatened by multifarious environmental pollutants from industrial and domestic sources owing to man’s inevitable need for shelter and food. The progression in agricultural activities has led to increase in the use of common environmental pollutants of which organophosphorus pesticides such as Chlorpyrifos (O,O-diethyl-3,5,6-trichloro-2- pyridyl-phosphorothionate) is vastly prominent especially in developing countries. Chlorpyrifos is used in crop production, golf course turf, industrial plants, cattle ear tags, wood treatments and control of insects such as mosquitoes and fire ants . CPF is obstinate and difficult to eliminate from the environment hence exposure easily occur by ingestion of contaminated food, inhalation or topical absorption through the skin . CPF is a non-systemic insecticide instigating oxidative stress  and cholinergic toxicity by acting at neuromuscular junctions and cholinergic synapses which is the active site of the cholinesterase (ChE) enzyme to inhibit breakdown of the neurotransmitter-acetylcholine (ACh). The resulting accumulation of ACh in the synaptic cleft causes overstimulation of the neuronal cells, which leads to neurotoxicity and death eventually . It has been affirmed that CPF impairs reproductive, haematological and nervous system in exposed subjects . Antioxidants are compounds or agents that impede autooxidation by interposing formation of free radicals or by hindering propagation of free radicals by several mechanisms including; breaking the auto-oxidative chain reaction and/or reducing localized oxygen concentrations, chelating metal ions such that they are unable to generate free radicals or decompose lipid peroxides and also by scavenging species that instigate peroxidation. Antioxidants neutralize the increased reactive oxygen species (ROS) generated following chlorpyrifos intoxication by accepting or donating electron(s) to eliminate the unpaired condition of the radical. The antioxidant molecules may directly react with the reactive radicals and destroy them; while they may become new free radicals which are less dangerous than those radicals they have neutralized . Another important function of antioxidants in chlorpyrifos toxicity is to regulate ROS-related enzymes. Exogenous antioxidants may decrease the cellular level of ROS either by inhibiting the activities or expression of ROS-generating enzymes such as xanthine oxidase (XO) and NAD(P)H oxidase or by enhancing the activities and expressions of endogenous antioxidant enzymes. Biological systems have evolved with endogenous antioxidant mechanisms to shield against chlorpyrifos-induced cell damage. They require micronutrient as cofactors such as selenium, iron, copper, zinc, and manganese for optimum catalytic activity and effective antioxidant defense mechanisms. SOD, catalase, and glutathione peroxidase are three primary enzymes, concerned with the elimination of reactive oxygen species while glutathione reductase, glucose-6-phosphate dehydrogenase, and cytosolic GST are secondary enzymes, responsible for ROS detoxification by decreasing peroxide levels or maintaining a steady supply of metabolic intermediates like glutathione and NADPH necessary for optimum functioning of the primary antioxidant enzymes . Glutathione, melatonin, uric acid, ascorbic acid, alpha-tocopherol, betacarotene, histidine peptide, transferrin, bilirubin, selenium, mannitol, benzoate, dihydrolipoic acid and plasma protein thiol play a homoeostatic or protective role against ROS produced during normal cellular metabolism and after active oxidation insult by chlorpirifos. Glutathione is the most significant component which directly extinguishes ROS and lipid peroxides thus playing a major role in chlorpirifos metabolism. It also maintains ascorbate (vitamin C) and alphatocopherol (vitamin E), in their reduced form, which also exert an antioxidant effect by quenching free radicals . Some exogenous antioxidants experimented against chlorpirifos toxicity include vitamin C, vitamin E, taurine, fisetin, catechin, quercetin and beta-carotene . Vitamin C is the most important water-soluble antioxidant as it neutralises chlorpirifos associated ROS in the aqueous phase before initiation of lipid peroxidation. Vitamin E is a key lipid-soluble vitamin functioning as an effective chain-breaking antioxidant within cellular membrane where it inhibits lipid membrane peroxidation. Beta-carotene and other carotenoids also provide antioxidant protection to lipid rich tissues . In conclusion, population at risk may be advised to increase consumption of fruits and vegetables which are major sources of dietary antioxidants which are beneficial in ameliorating chlorpyrifos-induced oxidative stress. Ambali SF, Aliyu MB (2012) Short-term sensorimotor and cognitive changes induced by acute chlorpyrifos exposure in Wistar rats: ameliorative effect of vitamin E. Pharmacologia 3: 31-38. Testai E, Buratti FM, Di Consiglio E (2010) Chlorpyrifos. In: Krieger R (ed). Hayes Handbook of Pesticide Toxicology. Elsevier Inc, Italy. pp.1506-1525. Yu F, Wang Z, Ju B, WangY, Wang J(2008) Apoptotic effect of organophosphorus insecticide chlorpyrifos on mouse retina in vivo via oxidative stress and protection of combination of vitamins C and E. ExpToxicolPathol 59: 415-423. Oruc EÖ (2010) Oxidative stress, stress hormone concentrations and acetylcholinesterase activation in Oreochromis niloticus exposed to chlorpyrifos. PesticBiochem Phys 96: 160-166. Elsharkawy EE, Yahia D, El-Nisr NA (2013) Sub-chronic exposure to chlorpyrifos induces haematological, metabolic disorders and oxidative stress in rat: Attenuation by glutathione. Environ ToxicolPharmacol 35: 218-227. Kalender Y, Kaya S, Durak D, UzunaFG, Demir F(2012) Protective effects of catechin and quercetin on antioxidant status, lipid peroxidation and testis-histoarchitecture induced by chlorpyrifos in male rats. 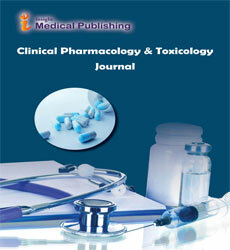 Environ ToxicolPharmacol 33: 141-148.